This was taken before I got the power head installed, to give me more confidence in the U-siphons. 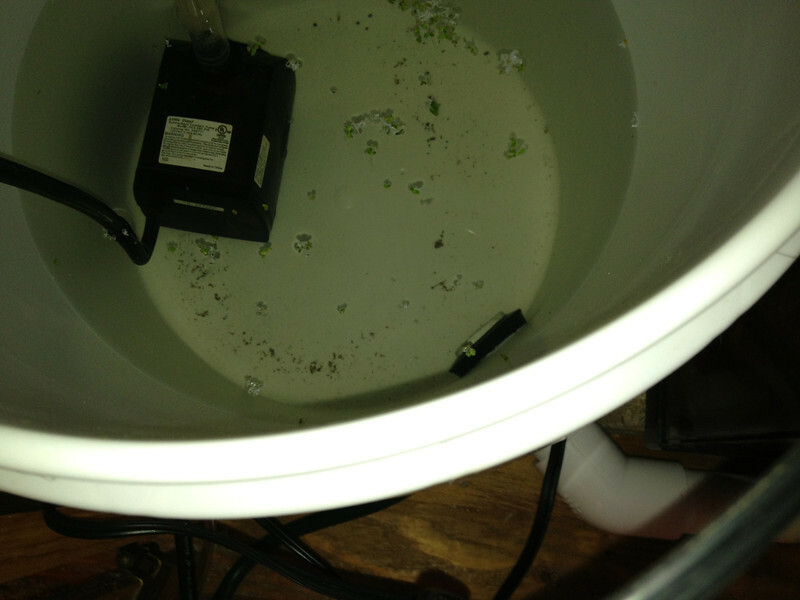 Once that was in, I pulled the grow box standpipes, turned the pump off, and let everything drain into the sump, then filled it up to within about 3 inches of the top, and restarted everything. That way I know there's no more water in the system than the sump can handle, even if everything drains at once.